It feels like only yesterday I saw Synaesthesia tumble onto the stage at the Boerderij in Zoetermeer for their very first gig. Wait, no it doesn’t, it’s been bloody ages! 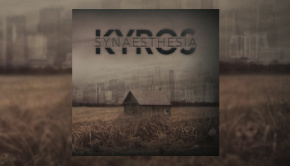 Synaesthesia, er… Kyros are finally back with a second album that’s taken nearly three years to get released. With all those ideas boiling up for so long, it’s barely a surprise that this is a double disc affair; despite only being 81 minutes in length, the bare minimum to qualify for two CDs, Vox Humana feels like a very long album indeed. It shouldn’t be a secret that I’ve kept in touch with Adam Warne, band leader of Kyros, since reviewing the eponymous debut Synaesthesia. We’ve got to know each other, as you do, and I even paid a visit to his home in Wimbledon two years ago, where he showed me demos the band had already been working on for this very album. It was here that I actually made an early suggestion for Cloudburst, so that with the word “stop” in the lyrics, the music would literally come to a halt before continuing the next bar. It seems the band liked this idea since I was ecstatic when I heard this same edit all these years later finally being committed to disc. It seems my career as a music writer has begun! Nevertheless, though I may have had a hand (or maybe just the tip of my pinky finger) in the making of this album, readers should be assured that I will still treat this album with the same detachment as I’d bring to any other review. Stick the first disc – sub-titled The Creation or The Maker depending on whether you’re reading the sleeve or the disc itself – in your CD player/Walkman/laptop and you’ll be greeted by the sound of a tape machine being turned on and rewound to comprise track one. This is perhaps symbolic of rehashing the past in the opening number Technology Killed the Kids II, to me the weakest track on Vox Humana. This is something of a spiritual sequel to the similarly titled track on the first album – an instrumental – but one has to peer carefully in order to see the musical thematic links. This time, there are lyrics – seemingly to do with the rise of computer gaming and social media – but certainly none worth hearing. I always felt that the lyrics on Synaesthesia were a little too obvious to be taken seriously, and it seems nothing has changed on TKTK2. Without any particularly interesting musical passages either, this is quite a dull if energetic way to spend eight minutes. Things are about to improve, but you’ve got to be patient. Cloudburst is up next, and it’s also the band’s lead single from this album. As such, this is a more commercial sounding affair, with big themes and repetitive soloing. The big question, though: is it catchy? The answer is “Yes, but not as catchy as it could be.” Peculiarly, the sequence of chords used in the chorus is less obvious than those used in the verse, making the verse more memorable than the chorus – no doubt helped by the “stop” in verse two. It just took me a while to get my toes tapping to this number, and without any big variation from the main themes, it can seem a little too repetitive for its six-minute length. As an aside, the Cloudburst EP has all manner of edits of this song which certainly add to the experience and make it more interesting. The best of these has to be the Feature Length Mix, clocking in at ten minutes, and chucking just about every edit and tweak to the song possible until it’s almost unrecognisable. With those two rather moist squibs out the way, we can get to the real meat of this album. The remaining three tracks on disc one show the band finally finding some new direction. Though relatively short, Persistence of Vision packs a whole lotta punch with powerful 7/8 chords during the chorus somewhat reminiscent of latter day Anathema. 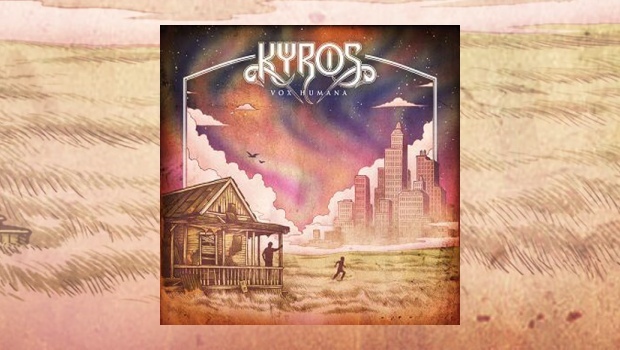 Kyros also begin to master the power of multi-part vocals in this song and the next, The Lamb, the Badger & the Bee, takes full advantage of this technique in the latter part of the roller-coaster song leading to a Haken-inspired outro. New Paradigm also sees a risky but rewarding shift in song structure, gambling on a mid-song climax before subsiding to a quieter coda. I can recall Warne once sharing on his Facebook profile that he believed “a song can only be as good as it’s outro”, so it’s clear that this is not a move made lightly. Fortunately, the surprise is executed with sincerity and works effectively. Onto disc two, which can be seen as a song-cycle titled The Human Voice. Forty-five minutes is quite a stretch for any listener, but if you can eke out the time in your schedule, perhaps on a long commute, you will be rewarded for listening to this suite in full. Alternatively, there are break points near the centre. Quite what inspired Warne and Co. to be so ambitious here is beyond me, but it’s certainly an interesting experiment by the band. When speaking to Warne and bandmate Joey Frevola, they both agreed that the suite bore some resemblance to Six Degrees of Inner Turbulence by Dream Theater, a song-cycle of similar length, though they were quick to hasten that this was only in structure, not in style. Thus, what we hear is a series of songs that can work by themselves but can also be listened to in the suite format, as they share common themes and narratives. How does one summarise a three-quarter hour opus? Put bluntly, The Human Voice isn’t quite a masterpiece, but it is a valiant effort and one well worth hearing. Parts of the suite work extremely well, such as the opener Mind Electric that sets the scene, while other sections cause the whole venture to sink under its own weight. That isn’t to say any of the sections are bad – I’m actually fond of all nine parts – but the consistency just isn’t there. It feels like they’re trying to throw in everything they can, including the kitchen sink. On The Darkness Grove we’ll be hearing a spooky experiment on the Mellotron while the subsequent track, Boiling Point, shows the band’s chops in a pyrotechnical prog-metal display. It’s all very impressive but the flow isn’t as smooth as it could be, and even if it was I’m not sure they could pull off such disparate moods in the space of a single suite. If you’re not too fussy, though, there really is something for everyone here. Comparisons to Dream Theater, IQ, Haken and even Faith No More can be made; if the lyric “Feel inspired” on Persistence of Perfection had been a touch more nasal, I would have sworn that Mike Patton had guested on the album. 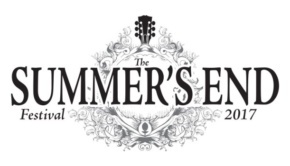 It is a bit of a free-for-all, which shows a lack of finesse, but on the other hand proves the band’s versatility. The longest and final section of this song, Dilate almost tricks the listener into believing the suite is a masterpiece. Almost. It is by far the best and proggiest section of the suite, weaving multiple themes from earlier tracks together whilst keeping a brilliantly symphonic internal structure. “Human minds for human souls” is the mantra repetitively chanted towards the end of the piece and all the while I’m air drumming and chanting along to this climactic finale. It’s a stunning finish and one the band should be proud of. To these ears, the instrumental section of Time, Tension and Intervention is still the best thing Adam Warne has committed to tape, but make no mistake: Vox Humana is strides ahead of its more immature predecessor. Not only does this album show a monumental group effort, but the plethora of ideas on the page is extraordinary and it’s difficult to believe it’s just one band playing all these songs. Nevertheless, this wanton toying with different directions is evidence that the band haven’t found their own yet. 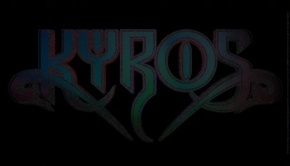 It’s still quite difficult to say what the Kyros sound is, but I look forward to finding out on the next album, which I hope we won’t have to wait quite as long for.